The UK House Clearance Association is dedicated to protecting the customers interests and the house clearance industries reputation from the adverse impact of rogue house clearance companies. 1. Fully covered with liability insurance, so in the event that anything does go wrong, you are fully covered. 2. Fully licensed with the environment agency, to transport the items from the house clearance. Did you know that if fly-tipped waste is traced back to any particular household, that household is liable to a fine of up to £5000? 3. 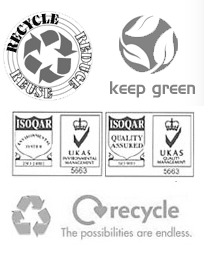 Genuine registered UK companies fully registered with the UK tax office. 4. Fully accountable for whatever reason. We will act as a mediator between yourself and the company in question to resolve any issues or concerns that you may have. How much does it cost to clear a house? Do you know where your waste is going? Beware of house clearance companies that under charge!